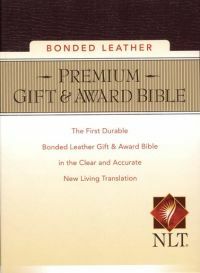 What is the best Bible translation? Which one of the many different Bible versions should you be using? I have some strong opinions on the matter of the best Bible version. Let me tell you those opinions and then why I hold them. The King James Version is not best, and it is not the only inspired version. The best Bible translation is the New American Standard version. This does not mean that the New American Standard is the best version to read. Instead, the Holman Christian Standard Bible is my recommended reading version, but it may not be best, either. Everyone ought to own one copy of The Message or an equivalent paraphrase. Everyone ought to own, at least on their computer, a copy of the King James Version. Let's take those one by one. Some are linked below, and some have their own pages. I kept what I felt was most pertinent to the subject of the best Bible version on this page. This will keep the page short and allow you to simply read it and find it useful. Side issues have been consigned to their own page. The New American Standard Version. In the late 1980's and early 1990's I did a lot of specific word studies, trying to be delivered from the traditions of men and find out what matters to God. If the NASB is the best Bible translation, why am I not using it on this page? Because it's copyrighted. If I use it too much, I have to use a long copyright notice, and I just don't want to do that. Instead, I use the King James Version, which is not copyrighted, and I update the language, grammar, punctuation, and wording as needed. [The flood] is a figure of baptism, which now saves you (not by the washing away of the dirt of the body, but by the answer/pledge/appeal to God for a good conscience). I wanted to know what that word, eperotema, translated "answer" in the KJV, meant. In order to find out I looked at Strong's Concordance , Vine's Expository Dictionary of New Testament Words , Thayer's Greek-English Lexicon of the New Testament , and Liddel & Scott's Greek Lexicon (the last one being the highest standard in a lexicon). I also consulted numerous word study books and commentaries. After all that, it seemed clear that "appeal" or "request" was the best translation. The New American Standard had "appeal." After that happened a dozen or twenty times in a row, I thought, "Why bother with all that research when the NASB has already done it for me? No other version could boast those kind of results. The New American Standard Version also carefully preserves the tenses of the Greek verbs, which are often important in delicate matters of Bible interpretation. That is why I confidently assert that the NASB is the best Bible translation. If the use of the Textus Receptus matters to you, then the New King James Version is very similar to the NASB, just not quite as accurate. Which Is the Best Bible Translation To Read? For just reading, I like to use the Holman Christian Standard Bible. This is not necessarily the best Bible version for reading. I like it. 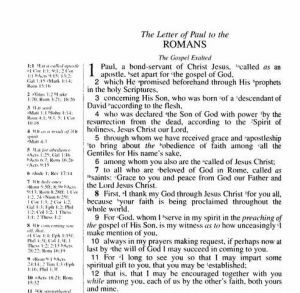 I think it is both slightly more accurate and slightly more readable than the New International Version, which it was designed to replace. The point I want to make in this section is that having a perfect translation is not necessary to good Bible reading, nor even good Bible study! There are a lot of different Bible translations that are acceptable. Modern Christians have a wrong understanding of the purpose of the Bible. The Scriptures are NOT inspired by God in order for you to have an excellent statement of faith, systematic theology, or set of theological beliefs. The Scriptures are inspired by God to equip you for every good work and to help you help others be equipped for good works (2 Tim. 3:16-17). For that purpose, any reasonably accurate translation that you are comfortable reading will suffice. There is no best Bible translation for simple reading. Personally, I don't like to give someone else that kind of freedom in my reading of the Scriptures. If I want a paraphrase, I'll paraphrase it myself in my head. I think that with a paraphrase it's easy to miss things the inspired author wanted to say and to get things the uninspired translator wanted to say. However, consulting a paraphrase often gives excellent insight into a Bible verse, and I recommend everyone own one for reference. The Message is a very interesting one, but you may prefer one that's not so loose with the text. However, a paraphrase will never be the best Bible translation.